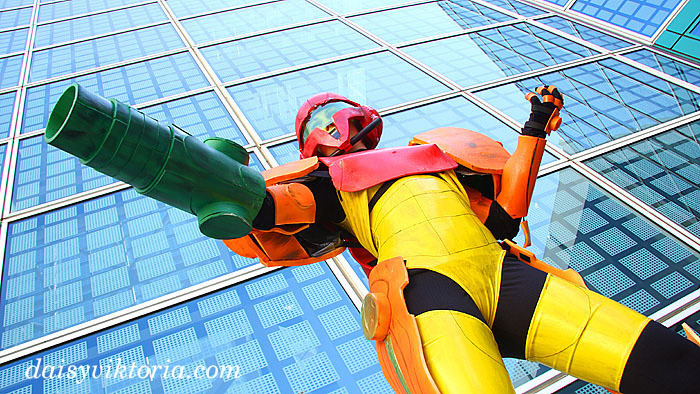 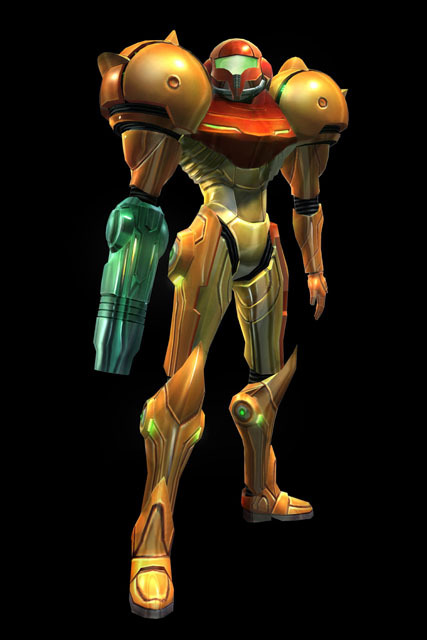 This is Samus’s Varia Suit. 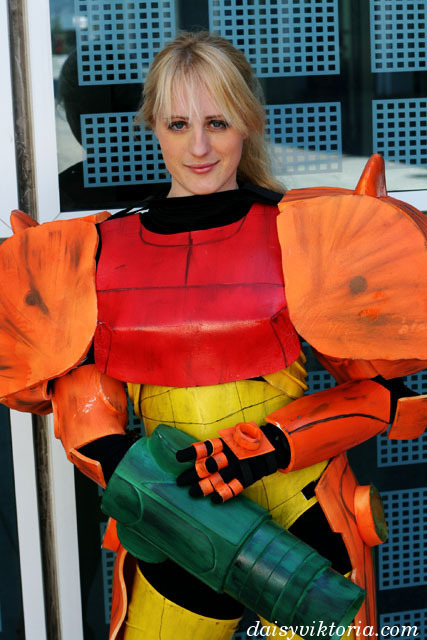 Although I am not much of an armour maker, I always wanted to make this costume. 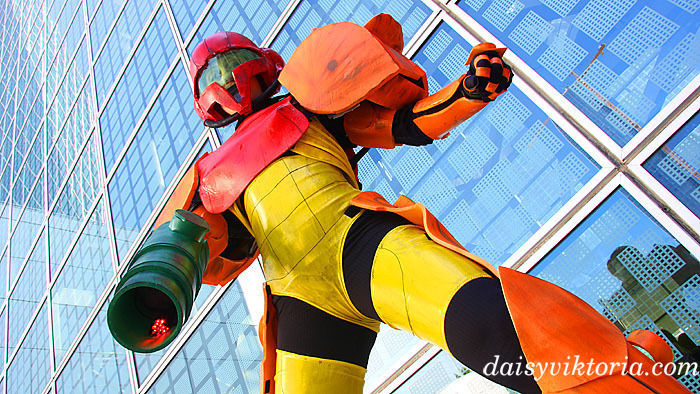 The suit is constructed from lycra, vinyl, and EVA foam. 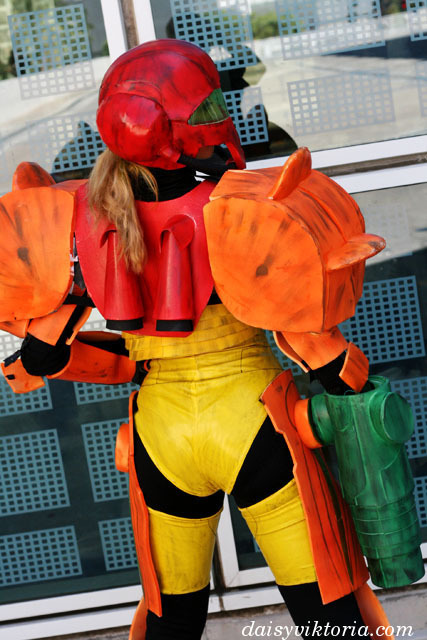 The helmet was constructed over a children’s batting helmet. 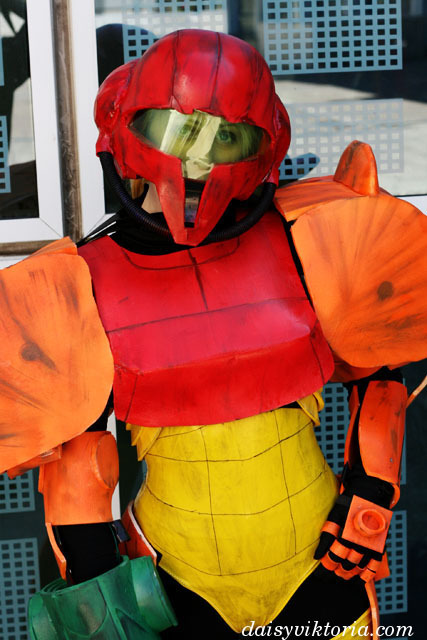 Chris built an electrical system, so the costume also has lights. 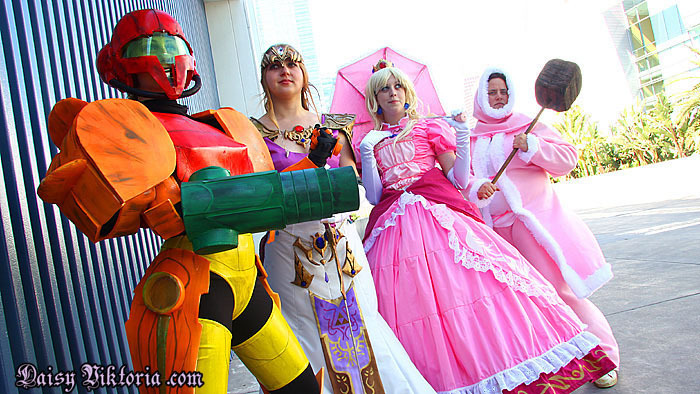 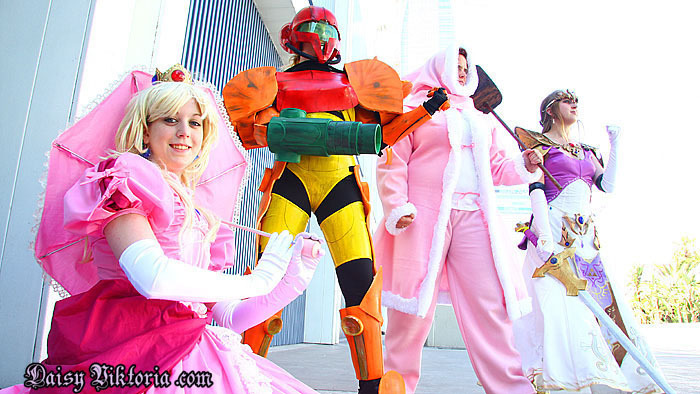 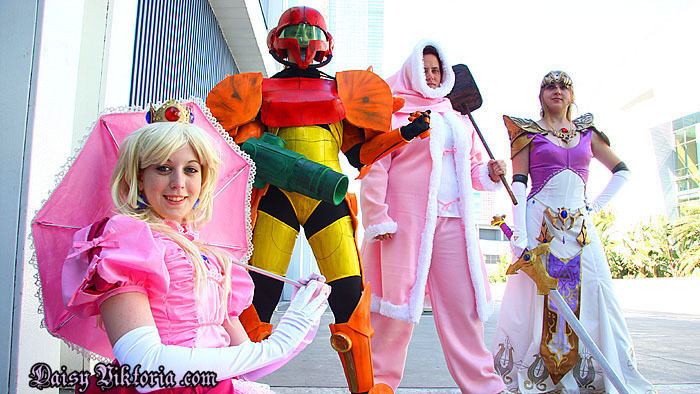 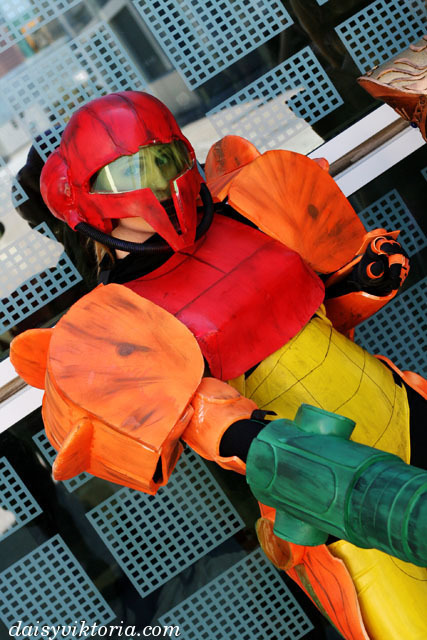 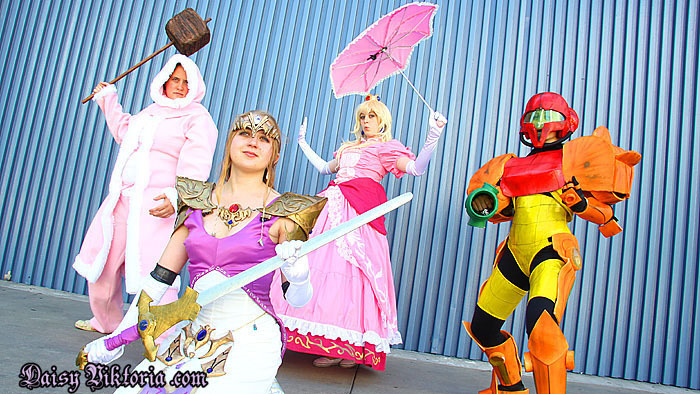 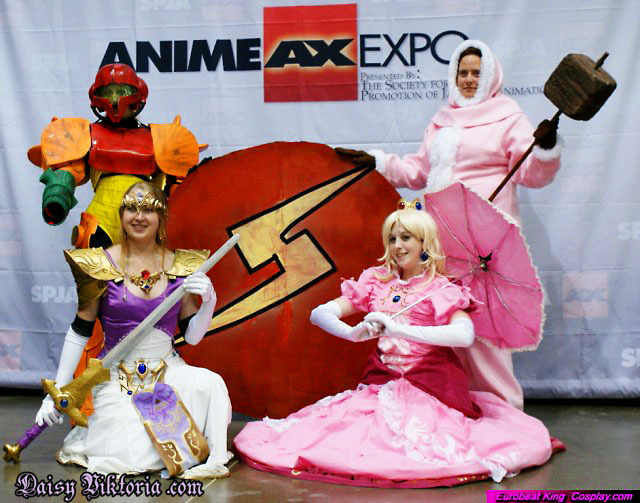 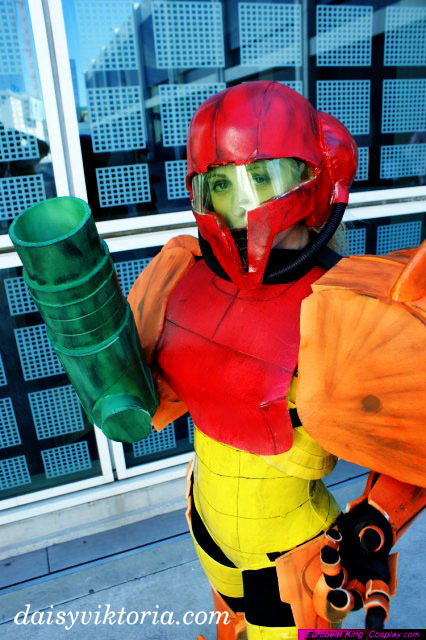 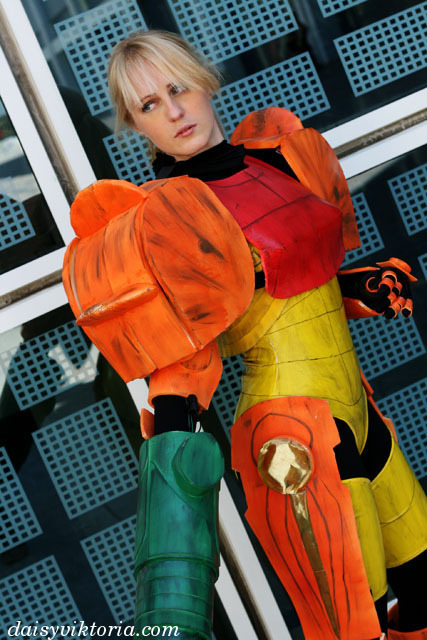 Samus was worn as part of a Brawl Babes group, including Peach, Zelda, and Nana.